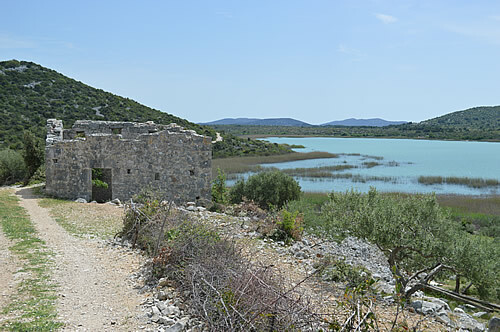 Leaving Šibenik behind us, we headed northwards up the Dalmatian coast towards Zadar, with a bit of a detour around the lovely Lake Vrana Nature Park (not to be confused with the other Lake Vrana on the island of Cres.) 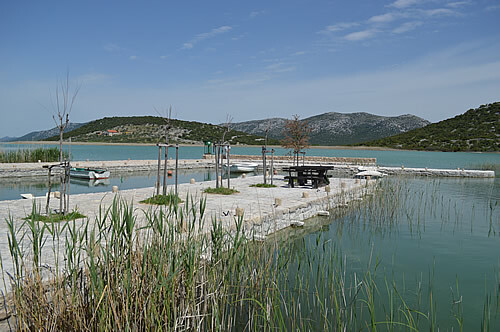 This is Croatia’s largest lake, and a very important stop-off for birds on their annual migration. The long flight across the Mediterranean from Africa means this is a welcome rest and feeding place. In fact some birds like it so much they build their nests and breed here! 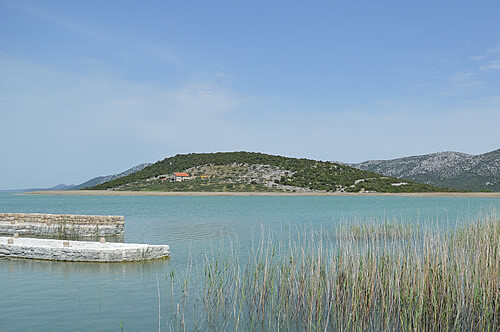 The lake lies in a flooded karst valley, very close to the sea. The surface of the lake is officially listed as 0.1 metres above sea level, but in reality that varies considerably. Technically speaking, this lake is almost entirely an cryptodepression – that is, it lies below sea level. The water in the lake is slightly salty – mostly due, they think, to leakage of minerals from the rocks, and evaporation in the hot summer months. But, in especially dry years, there’s another source of salt in the lake. The lake is divided from the sea only by a narrow karst ridge, between 0.8 and 2.5 km (half a mile to 1.5 miles) wide. In the 18th century, the local landlord Francis Borelli thought it would be a good idea to drain some of the extensive marshy area at the top end of the lake to create more farmland, and to reduce the malaria problem. So in 1752, they started construction on a canal to connect the lake to the sea. 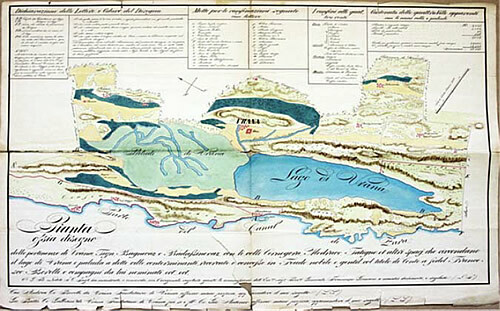 Opinions differed as to the viability, or even the advisability of the project, but in 1770, the canal was completed. At that point, the water level in the lake rapidly dropped 3 metres, and the resulting wave reached to Betina on the island of Murter! Since then, the Prosika canal has been widened and deepened further, in order to maintain the farmland. Most of the time, water flows outwards from the lake to the sea, as planned. 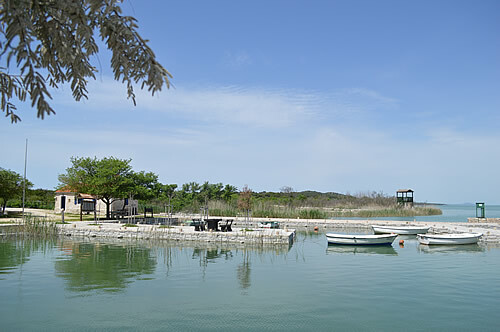 However, in drought years, when the lake is much lower than usual, the flow reverses, and the lake and its protected nature reserve receive a hefty dose of salty sea water. It’s a problem that I can only think will happen more often, given the rising sea levels. We started our tour of the lake at the Prosika canal. There’s a lovely little boat dock and a view down the peaceful lake. In May, it’s very quiet, and we have the place to ourselves. Across the water to our right is Babin škoj – but “Grandmother’s island” is now a peninsula. From here we can see the defensive walls – a double line of walls built by the Illyrians, and a single line all around built by the Romans. Babin škoj has been inhabited for about 4,000 years. As an island, it was an ideal place to retreat to at night, taking all your livestock with you. 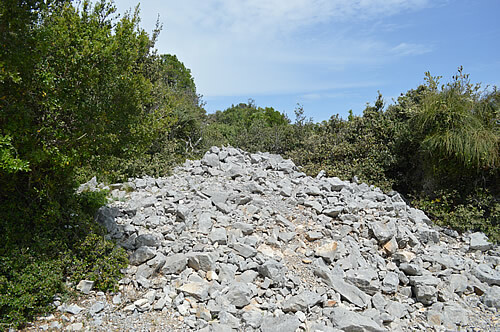 Those original residents built a double line of walls across the end of the island facing the shore – very clear from a distance, but looking like a simple heap of stones from close to! Later, the Romans also appreciated the island as a refuge. 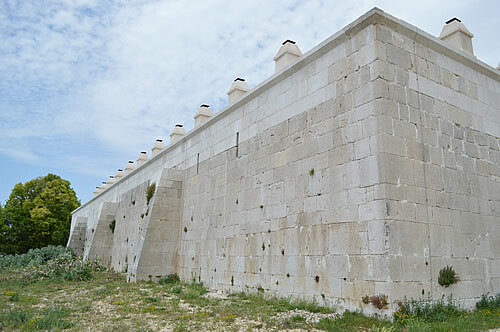 They built a wall all around it, as presumably they were also at risk of being attacked by boat! 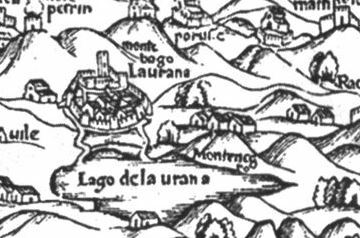 For the Venetians in the 16th century, Babin škoj was not so much a refuge as a frontier post. Until 1699, the border between the serene Republic and the Ottoman Empire went right through the middle of the lake. This defensive tower would have been one of many that lined the lake shore, bristling with guns and other weaponry. Round the south end of the lake, we bounced along the rough stony tracks to try and find one of the ornithological stations on the east shore. The paths are not well signed, though, and didn’t exactly match the ones on our map which made navigation a tad tricky! After back-tracking a couple of times, we decided we’d just give that shore a miss, and headed upwards and onwards. In the Middle Ages, Vrana was far from being the sleepy little backwater it now appears. 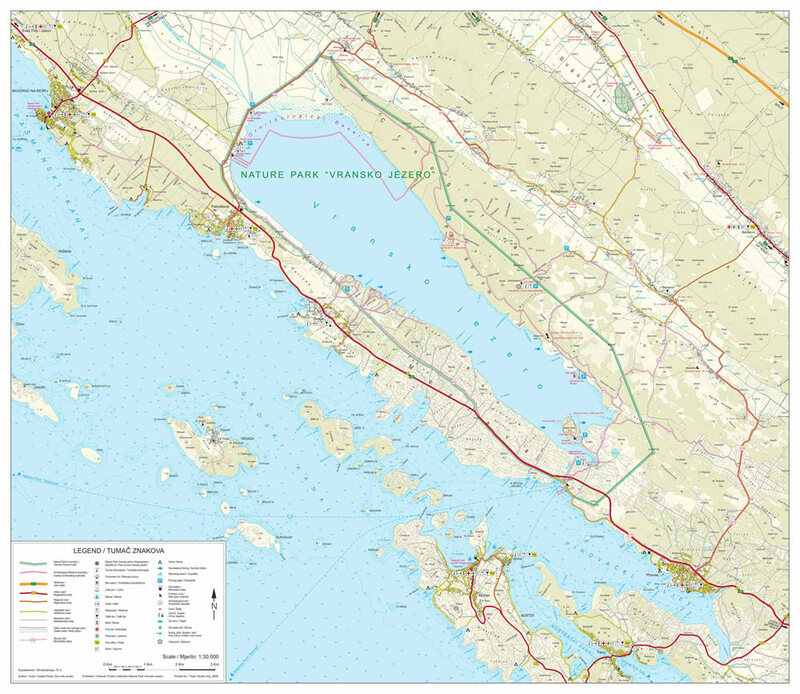 It was nicely positioned in the centre of the important royal towns of the old Croatian state – Nin, Biograd, Knin and Šibenik. This was where it was all happening – today’s capital of Zagreb was merely a small merchant town back then. 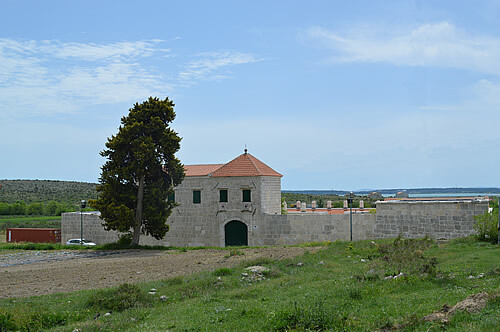 Croatian nobles had estates in this area, and the Benedictine Abbey of St Gregory was founded in the 9th century. The Insignia of the Croatian Kingdom was held there for many years. In 1076, the newly crowned King Zvonimir donated the monastery to Pope Gregory VII, together with all its income, treasury, valuable gospels, etc as a “hospitium” for the Papal legates. Then the place was granted to the Knights Templar. They turned the monastery into a castle, with a large oblong courtyard, towers and a moat, with a second walled court around the old monastery. The Archbishop of Zara (Zadar) in 1163 tried to claim jurisdiction, but the Templars maintained they were responsible only to the supreme pontiff –and Pope Alexander III agreed. But however powerful the Templars were at their height, by 1311 the entire order was suppressed by the Council of Vienne in France. 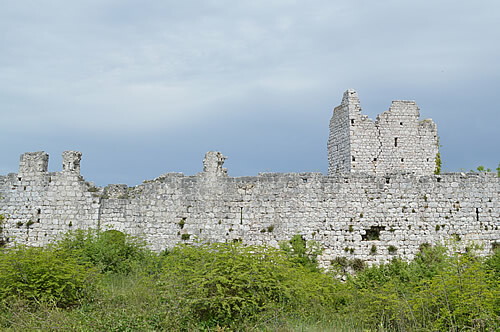 In Dalmatia, as elsewhere, their property was forfeit and Vrana castle was given to the Knights Hospitaller. The time of the Knights Hospitaller turned out to be quite dramatic. The most famous of the priors was Count Ivan Paližna, who was a conspirator in the plot to put Charles III of Naples on the Hungarian throne. 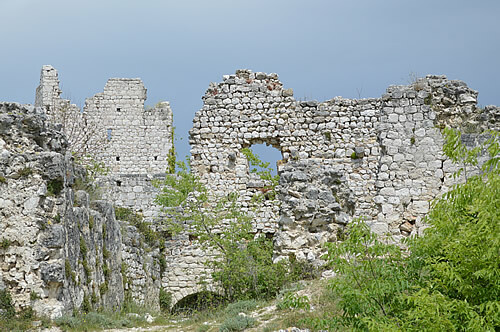 In 1383, Queen Maria and her mother Elizabeth visited Vrana castle, a bad move. Taken prisoner, they were removed to Novigrad where Elizabeth was murdered, and Maria held until the Venetians forced her release in 1387. 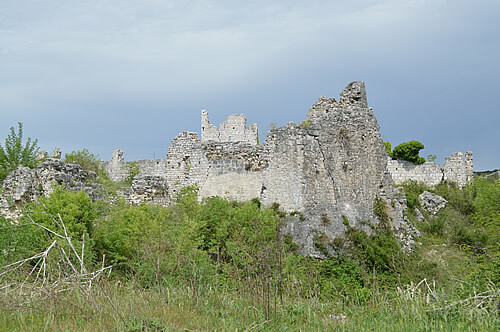 Paližna, now beseiged in Vrana castle, asked Tvrtko, King of Bosnia for his help. Over the next couple of years, Paližna and Tvrtko took on Sigismund’s army, and ended up taking control of Dalmatia (except for Zadar and Dubrovnik). At the height of their power, both commanders died and in 1392 the priory of Vrana was suppressed by Vuk Vucich, the Ban of Bosnia. The last Hospitaller prior was thrown into prison. 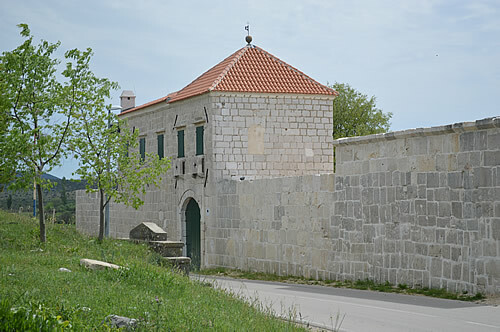 Vrana was sold to the Venetians in 1409, and they held it until 1538, when it was surrendered to the Turks after the fall of Klis. The Venetians retook the castle during the Candian war (1645-1669), but didn’t want to garrison it so they destroyed it. Completely trashed it. And after that the castle was never rebuilt. During the Turkish period, Yusuf Mašković, a local peasant, rose to become an important advisor and commander of the Turkish fleet. 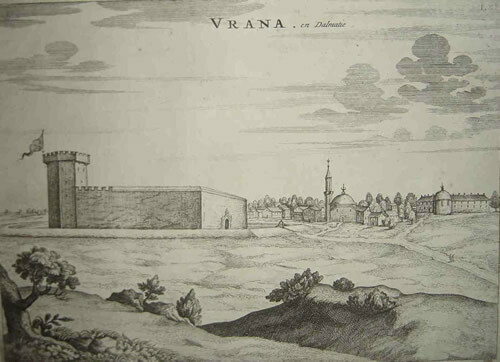 He intended to retire to Vrana, and in 1644 sent funds to have a large Han built – partly to accommodate travellers, and partly as his own home. Sadly, he never made it as the Sultan had him executed for showing mercy to Venetian prisoners. The unfinished Maškovića Han just sat there for several centuries, until a recent grant from the EU enabled work to restart! It’s an impressive building, unfortunately not open at the time of our visit, but apparently planned to open as a hotel/hostel sometime in the future. Wouldn’t that be a great place to stay? Aside from his rather patronising attitude to the locals, it’s fascinating to get a view of the place from someone who was there a mere 100 years after it was all thriving and cultivated. 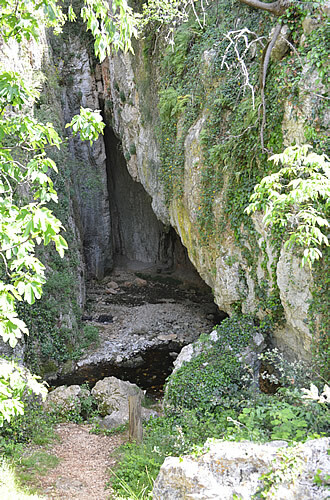 Beyond the castle is Pećina cave, with its freshwater spring that was also the source of the Roman aquaduct which supplied Zadar and all the surrounding villa rusticae. 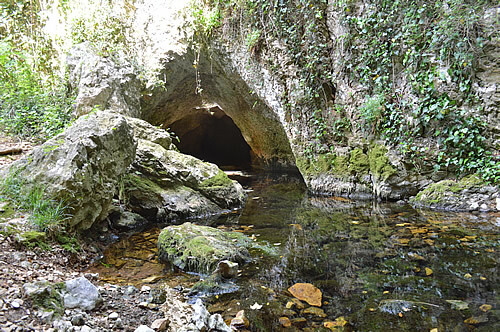 It’s a pretty cave, and delightfully cool on a hot day. The signposts indicate hiking trails that continue on uphill, which could be nice to follow one day. Down at the lakeside is a wetland area with trails and birding hides. The top end of the lake was first declared a Special ornothological reserve in 1983, and entire lake with surrounding wetlands declared a nature park in 1999 – around 57 km2 in total. 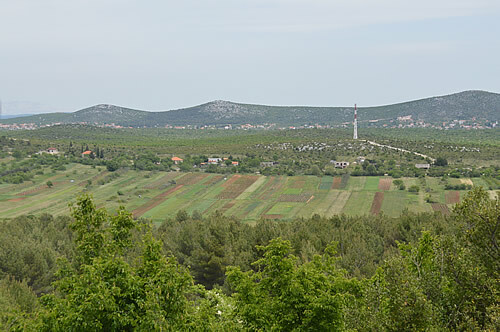 This northwest end, in particular is what’s left of the vast (10 times bigger) Vransko blato (Mud of Vrana), once a marsh, now farmland. 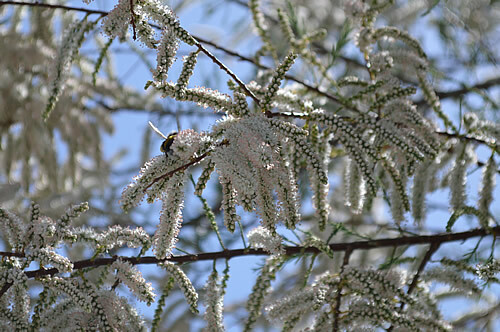 In early May we found the trails near the lake to be knee-deep in water – fine for the birds, but not so good for us! 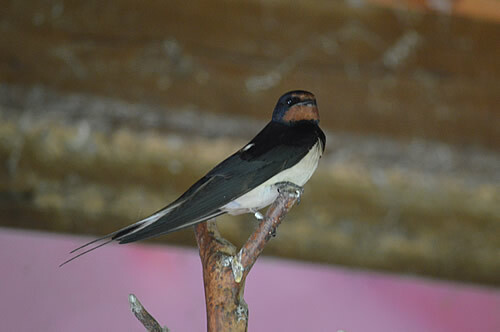 The only section we could visit was the part with raised walkways and a ranger station – complete with resident swallow family nesting under the roof. 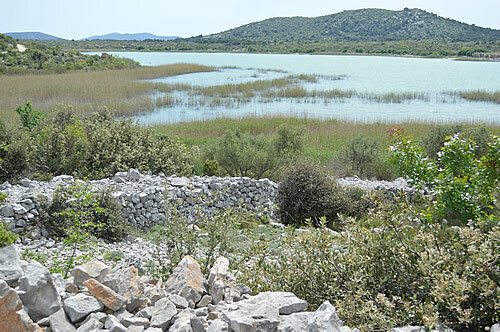 Lake Vrana reserve is on the list of Important Bird and Biodiversity Areas (IBA) in Europe. A great variety of birds have been recorded here – 256 species at the last count. 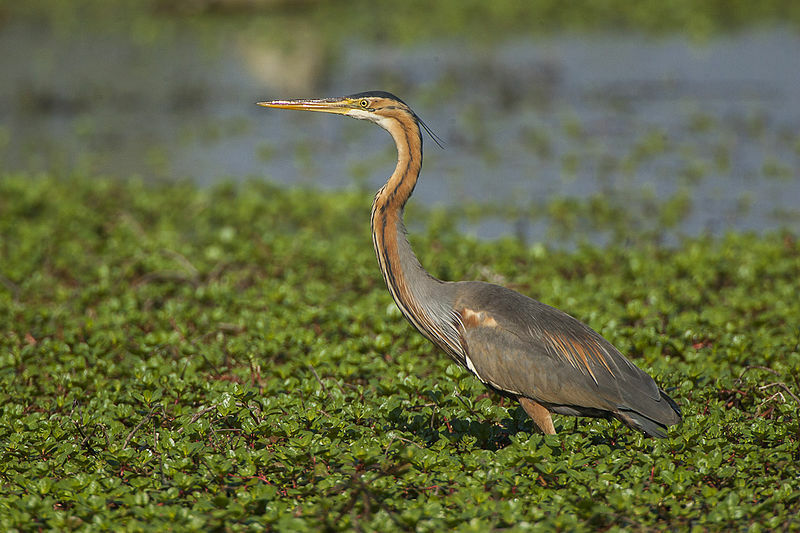 Some are migratory, others, such as the purple heron and pygmy cormorant, actually nest there, along with 100 other species of birds. 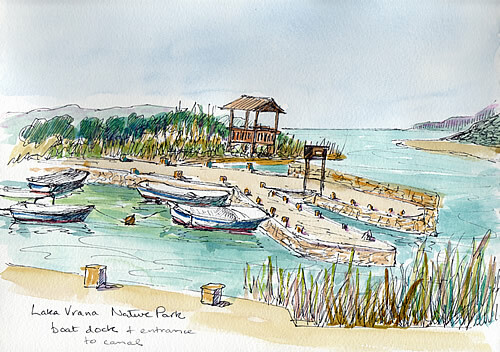 The park is a crucial resting and feeding area for a number of European endangered species. More than 100,000 waterbirds regularly winter here. Along with the Neretva Delta, this is the largest wetland area on ​​the eastern coast of the Adriatic Sea, providing a variety of habitats such as marshes, flooded meadows and reed beds, as well as the largest area open water. Based on their research, birds from all over Central, Northern and Eastern Europe stop over here. In the autumn, after resting and feeding on Lake Vrana, the birds continue southwards in three main pathways. Westwards around the Adriatic Sea and across Northern Italy, along the Mediterranean coast and down to Africa via Gibraltar. Directly over the Adriatic, crossing Italy and onwards via Southern Italy, Sicily, Corsica or Sardinia, and on over the Mediterranean. And southeastwards down the Adriatic coast and across the Balkans towards Asia Minor and the Middle East. Long, perilous journeys! 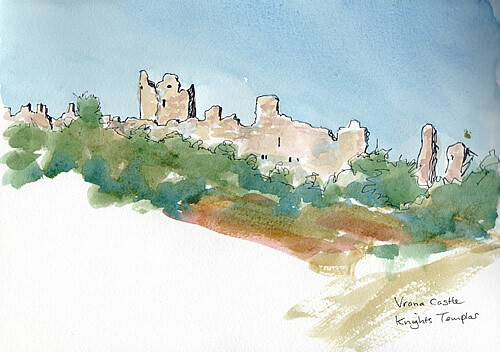 and Vrana castle – my version, not as detailed as Thomas Graham Jackson’s!